Made of aluminum, these crutches have push-button height adjustments. 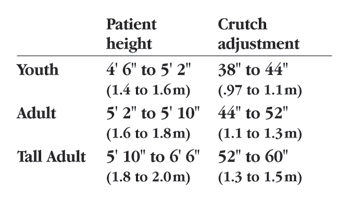 The height scale is printed on the crutches for easy, accurate fittings. Available in four sizes. Sold in pairs. Weight capacity is 250 lbs. (113kg).